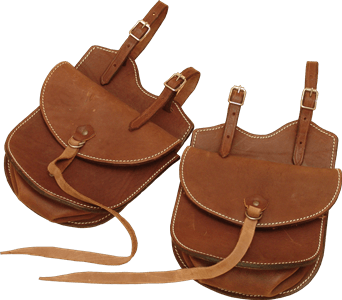 Kit out your saddle with these accessories and tack, and don't forget to protect it all with a canvas gear bag. Standard colours are: black, brown and tan. 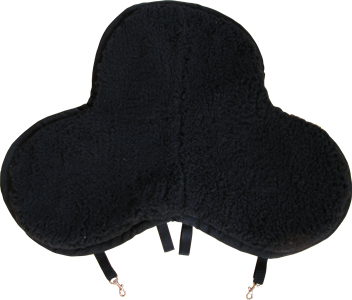 The bumnah (seat saver) is a soft seat cover made to fit specific saddles, with a choice of synthetic fur pile and material, sheep skin and leather or all leather. Bumnahs are available for most of Franco C's saddles. Keep the saddle in place with a stylish western breast plate. Also available in various show options. Popular for Polo Crosse and Endurance. 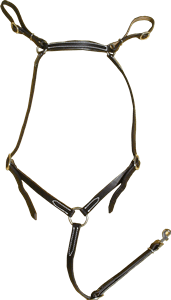 The Endurance Breast Collar has an snap hook on the left-hand side to facilitate quick removal of the saddle. 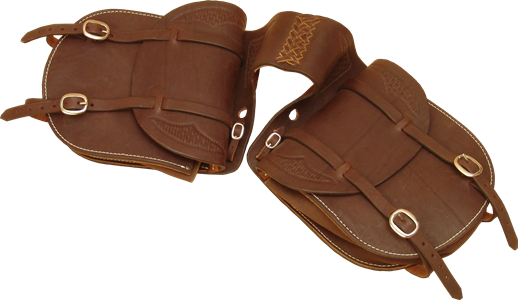 Customized to fit the cantle of your saddle. Volume of a standard bag is approx. 5 liter. We can customize the bag to suit your needs. Larger sizes available. 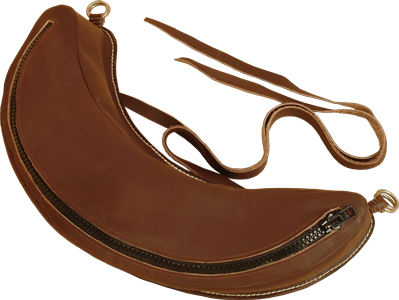 Fits saddles with 2 D-rings behind cantle. Volume of each bag approx. 4 liter. Larger sizes available. 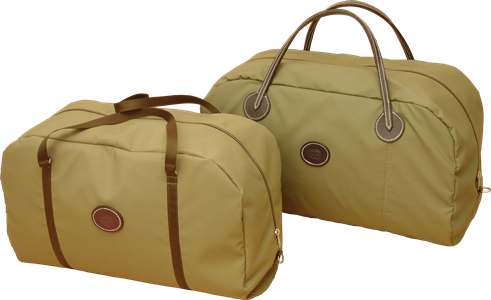 A bag that fits snuggly behind the cantle with a capacity of approx. 4 liter. Aluminum stirrups available as straight or twisted. Wider stirrups to accommodate a bigger boot are available on request. A plastic safety cage, covered stirrups and tapaderos are optional extras. Fow those that want a light fender option. 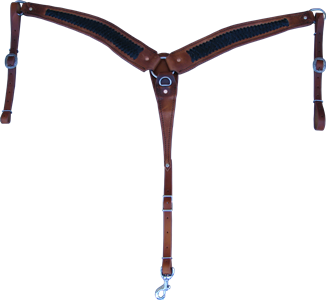 It comes with a 2" safety belt stirrup strap for those that want aluminum stirrups. 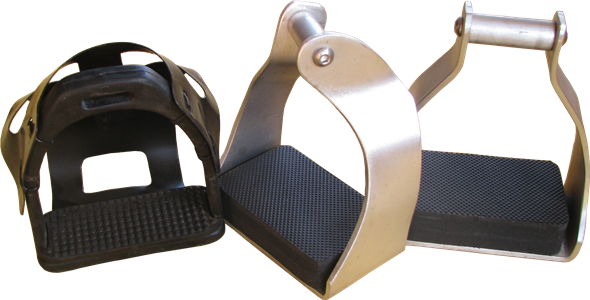 We calso make it with 1" stirrups straps for those that want the plastic stirrups. Instead of the heavier veg tan leather we use lighter neoprene rubber between 2 pieces of chrome leather. 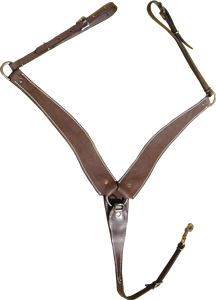 We sell replacement stirrups straps that fit on all our endurance saddles. We can also sell it with fenders if you need. 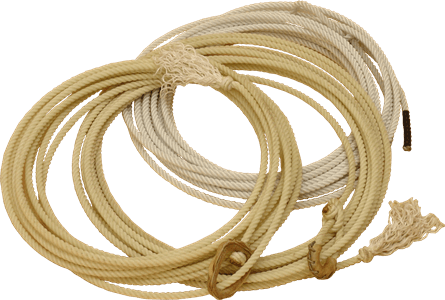 Nylon lariats are available in 35’, 45’, 60’ or custom lengths. 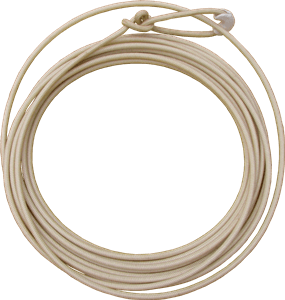 Poly lariats only available in 60’ lengths. They are made up with a knotted honda with rawhide burner. 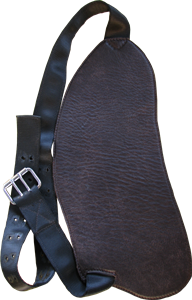 Check out our range of girths and saddle pads!